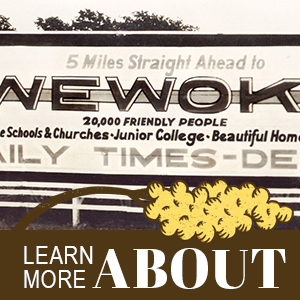 A TASTE OF WEWOKA'S HISTORY. The 44th annual Wewoka Sorghum Festival will be held on Saturday, Oct. 26, 2019 from 8 a.m. to 5 p.m. 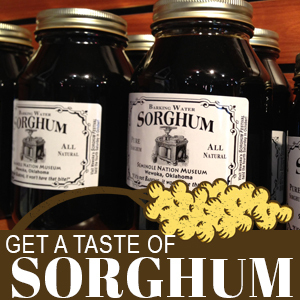 The festival is a community celebration of sweet sorghum and Wewoka's rich history held each fall. The award-winning event has become one of Oklahoma's premier attractions, drawing thousands of visitors each year from across the U.S. and abroad to Wewoka on the fourth Saturday in October. Admission to the family-friendly festival is free! Be sure to sign up for the John Lively Memorial 5k Run, or bring your car out for the Sorghum Day Car Show! At the Festival shop the novel selection of merchandise, products and art from vendors and enjoy a menagerie of native, cultural cuisine. 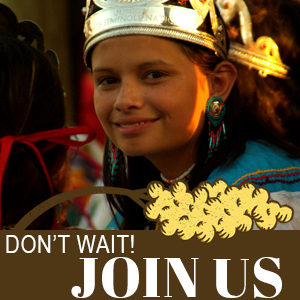 Bring the kids to see the parade, learn about the South's natural sweetener and visit the historic city of Wewoka. Watch Our 2018 Television Spot! Click here for 2018 Schedule of Events! 2019 Coming Soon! 2019 Food & Craft Vendor Applications Available Here. 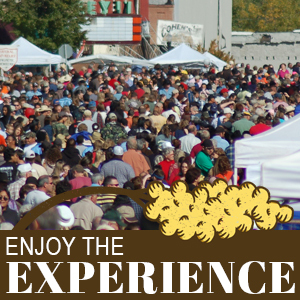 The Wewoka Sorghum Festival is the city's largest event attracting thousands of visitors annually. A day of history, entertainment, great food and wonderful events, Sorghum Day showcases the importance of Oklahoma's rural heritage as well as its Native American culture.